At Steve’s PDL, we know our technicians can handle all sorts of unusual and difficult cases. Take, for instance, this case involving a patient with a cleft palette that extended into the nasal cavity. This case required a unique approach, and our team nailed it. 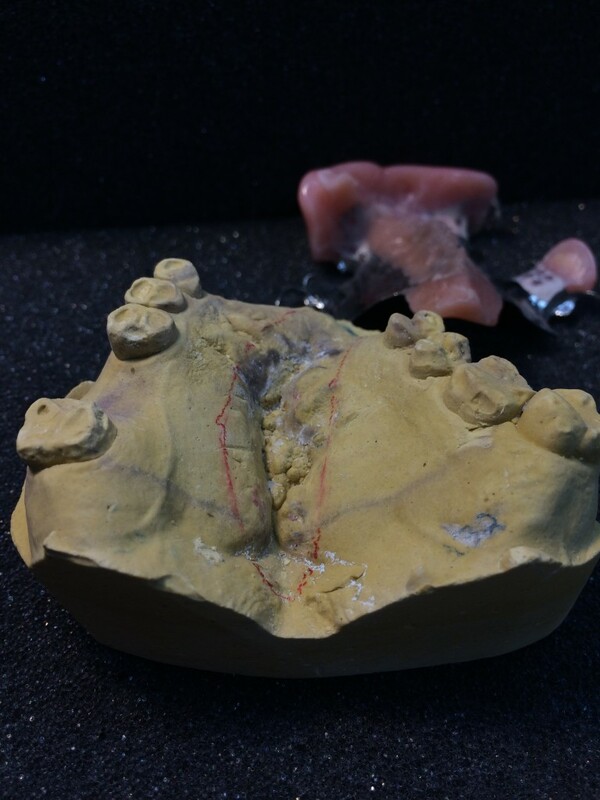 Denture soft-liner was used to accommodate the deep cleft in the palette. This allows the partial to rest easily in the mouth. Model work for the maxillary arch. The area outlined in red was fitted with soft liner to accommodate the cleft palette. Here you can see where the soft liner extends down below the metal partial frame work. Here's the finished product - and it's beautiful! This functional cosmetic restoration is a combination framework acrylic and softliner.